There’s no denying vintage decor is a popular theme when it comes to interior design. So if you’re eager to get on board with this style, here is your guide to getting the shabby chic look in your home. Intricately detailed, beautiful furnishings are a must if you’re keen to transform your home into a vintage retreat. When you’re searching for pieces for your rooms, make sure your look out for the typical features of this kind of furniture, such as round, distressed edges and carved detailing. To get you started, it might help to take one room at a time, thinking about which pieces you could replace for more vintage inspired models. For example, you could begin with your bed. Aside from ensuring the model you go for is comfortable, you should also make sure it’s befitting of your new theme. The Chateau Antique white painted French carved bed from Crown French Furniture is a great example. With its large, curved headboard and off-white colour, this style of bed could be the perfect fit for your boudoir. As long as you look out for the typical characteristics of shabby chic furnishings, you shouldn’t go too far wrong. If you’re keen to give your home a vintage vibe, it’s essential that you stick to a soft, muted colour palette. Bold, bright and brash colours, such as hot pinks, deep reds and vibrant yellows, are a big no-no. Instead, you should go for neutral shades like cream, white and ivory to keep in line with your theme. For a pop of subtle colour, pale, pretty pastels are ideal. From soft mint, to dusky pink, to sky blue, there are a variety of fresh, light hues for you to choose from. How you incorporate these shades into your home is up to you. For instance, you could paint your walls, invest in new soft furnishings or pick artwork that’s in line with your vintage inspired colour palette. Soft, dreamy patterns are a key feature of any shabby chic space, so it’s crucial that you pick yours carefully. For example, romantic florals are perfect and can add an element of charm and sophistication to just about any room in your home. From dressing your bedroom walls with flower-patterned wallpaper to scattering delicately designed floral cushions on your sofa, there are a whole plethora of ways you can decorate your abode to turn it into a vintage haven. Creating the perfect vintage space may seem tricky at first, but by taking these tips into consideration, you should find you’re able to capture the essence of shabby chic charm in your home. Oh I love the shabby chic look but I never see to be able to manage it myself (despite a LOT of Pinterest searching!) These tips are super useful! Great guide I love shabby chic and want to have more of a shabby chic theme in our home. I love shabby chic! My mums home is like all shabby chic and we've painted loads of furniture and I've done stuff up at mine! Love some D I Y! Shabby chic, so popular. 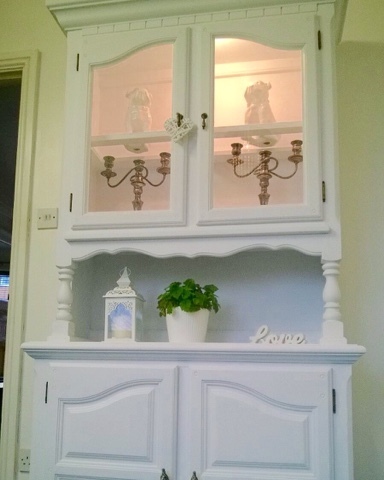 I do like when people upcycle items and make them look shabby chic, it's so nice to look at. This is so cute! Love the color and design. Great what to make something unique! It's beautiful. I love that dresser, what an adorable piece of furniture! I love a shabby chic vintage space. So beautiful. Brilliant tips! I love the storage chest in the last photos, what a beautiful piece! We transformed our French Dresser into a shabby chic piece, I love this style. Great guide! Patterns are so important when it comes to this look, aren't they! I love all of the items featured above :) I think a muted colour palette is definitely a must!